The Toronto Debate Academy offers debate and public speaking classes and workshops to middle and high school students and to private clients. Our instructors are highly successful competitive debaters themselves, with years of experience competing and judging across Canada and the world. We offer weekly classes in North York and online. We also provide specialized workshops to academic and corporate clients. We adapt our curricula to suit your organization’s needs. To arrange for the Toronto Debate Academy to conduct a workshop at your school or workplace, please contact us. Rudi is a JD/MBA graduate who practiced law at a national firm before establishing the Toronto Debate Academy. Rudi is an accomplished competitive debater, and has spoken both at the National Championships and the World Universities Debating Championships. As a debate coach, Rudi has led students to success at the regional, provincial and national levels. His students’ recent competitive successes include being finalists at the World Schools Debate Championships and winning the Jr. National Championships, as well as, multiple top-ten finishes and championships at regional events. In addition to coaching debate, Rudi teaches a class in Law at York University. Allan is an accomplished debater who finished in the top ten at the 2011 and 2012 Provincial High School Debating Championships, and finished 12th at the 2011 National High School Debating Championships. 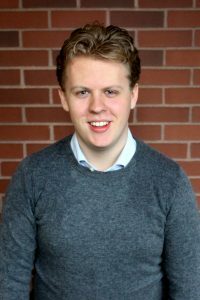 He was a semifinalist at the University of Western Ontario Debating Championship and the York University Debating Tournament, and was a top ten speaker at the Queen’s University Debating Championship and the Osgoode Hall Invitational Debate Tournament. Allan is graduate of Osgoode Hall Law School and is currently articling. 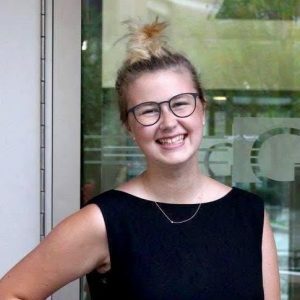 Mattea is a fourth year student at the University of Toronto pursuing a degree in Political Science and Sexual Diversity Studies. 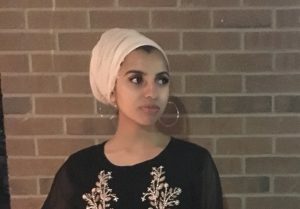 As a member of the Hart House Debating Club, she has been a North American Universities Debate Championships semifinalist, a Canadian Parliamentary Nationals semifinalist and top three speaker, and a finalist at the Central Canadian Championships (Leger Cup). She is also a former member of the Canadian National Team and was a Pan American Schools champion in 2013. Lex has a BA in Political Science from the University of Toronto and an MA at the same school. She is a World University Debate Championships (WUDC) quarterfinalist, the champion of the Yale IV, a 2 time finalist at the Cambridge IV and a 2 time quarterfinalist at the Oxford IV as well as reaching elimination rounds in over a dozen other tournaments. 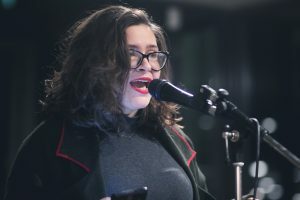 She has also been the Chief Adjudicator at the North American Debate Championships and North American Women’s Debate Championships in addition to judging numerous elimination rounds at other events. Ksenia holds an honours BA in history from Queen’s University and is in the process of completing Teacher’s College. She is a Canadian National Debating Champion, a Central Canadian National Debating Champion, a breaking World University Debate Championship (WUDC) debater, a 2 time finalist in the North American Women and Gender Minorities Tournament, and an experienced adjudicator. 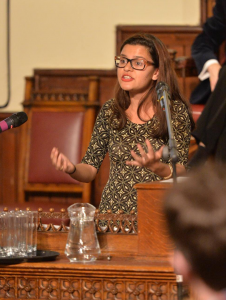 Ksenia is also a former President of the Queen’s Debating Union. Isaac is a fourth year student at the University of Toronto, who has broken and received speaker awards at more than a dozen high school and university competitions, including receiving speaker prizes at the BC Provincial Championships 3 years in a row, and reaching outrounds of tournaments such as the Canadian British Parliamentary Championships, and the Guindon Cup. 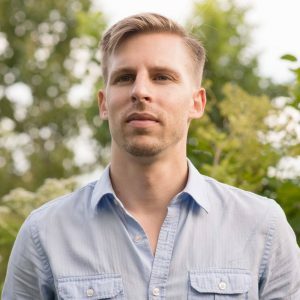 He began coaching at 17, and has worked with various private and school-run programs, coaching current and former members of the Canadian National Team, and students who have received prizes at dozens of other competitions. Amin is a third year student at the University of Toronto studying Political Science and Philosophy. Amin has debated at dozens of tournaments at the high school and university level, notably winning a speaker award at 2017 Chancellor’s Cup. Amin currently also serves on the executive of the University of Toronto’s Hart House Debate Society, where he organizes and delivers a wide array of training seminars to university debaters. 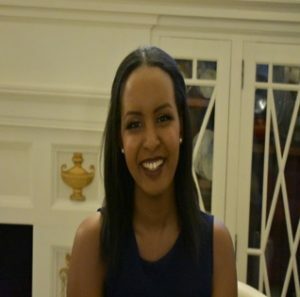 Layla is in the third year of her undergraduate degree at the University of Toronto studying political science and criminology. She has competed at numerous tournaments throughout high school, winning provincial championships in Saskatchewan and making it to the semi-finals of Junior Nationals. While a member of the Hart House Debate Club, Layla was a finalist and second place speaker at the McGill Central Novice Championship as well as a quarter-finalist at the Seagram IV. Ashley is a Comms & Political Science student at Carleton University. They have broken as a speaker at tournaments such as Hart House IV, Leger Central Canadian Championship & NAU*WDC. 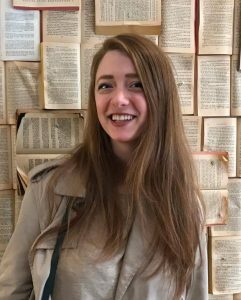 In addition to debating, Ashley has been a part of six Adj-Cores & has chaired outrounds such as the CP National Semi-Final, Lord Dorchester Cup Final & HHIV Novice Final. They are the former President of Carleton Debate and Speech. Sarah is studying International Relations and Criminology at the University of Toronto. She began debating in high-school where she broke at tournaments such as UofT, McGill, York, Western, Oxford Cup, & others, as well as top ten speaking. She was also the Cornell World Schools Debate Champion. In university debate, she won McGill BP Novice Champs, Mac ProAms, was the Novice BP Champ, and broke at Winter Carnival. She’s adjudicated at NAUDC, HKPDS, HHHS, Leger, and many high school tournaments as well. 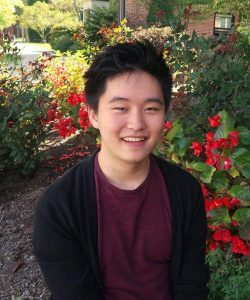 Eric Zhao is a first-year student at the University of Toronto, studying Peace, Conflict, and Justice. As a member of the Hart House Debating Club, he is the current novice champion of the North American Debating Championship and a top five speaker at both McGill Winter Carnival (where he was also top novice speaker) and the Central Novice Championship. 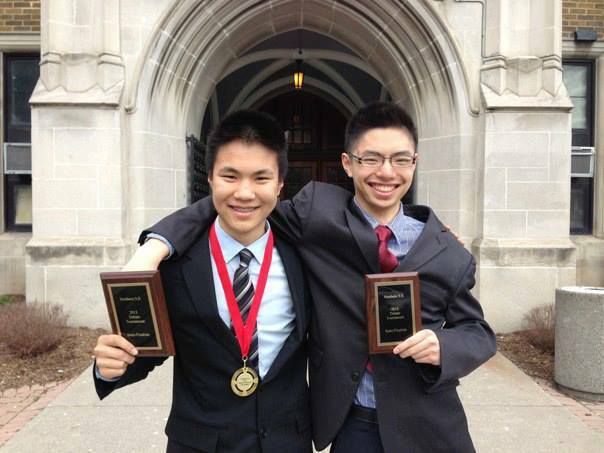 On the high school circuit, Eric has either won or reached the finals of tournaments hosted by Queen’s, Hart House, York, Western, and McGill. Emily is a first-year student at the University of Western Ontario, studying Computer Science. 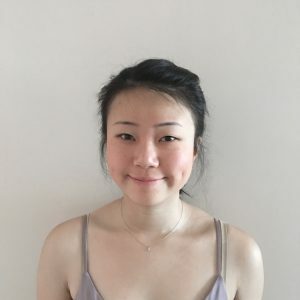 In her first year of university debating, she won the novice championship of the Hart House Inter-Varsity Debating Championship and reached the final of the Centennial Cup Debating Tournament and Semi-Final of the Central Novice Debating Championship. She has adjudicated at HKPDS, Seagrams, Leger, and many high school tournaments. In high school, she broke 2nd at the Harvard World’s Schools Debating Invitational, 6th at the Heart of Europe Debating Tournament and 10th at the EurOpen Debating Championships, as well as at various Canadian tournaments hosted by UofT, McGill, York and Queen’s. 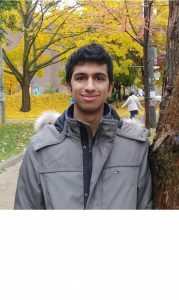 Alykhan is a first-year student of Economics and International Relations at the University of Toronto. 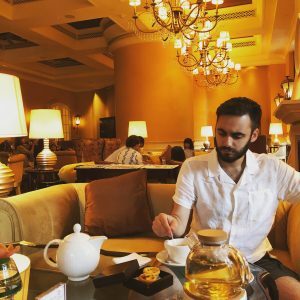 As a member of the Canadian National Debate Team he represented Canada at tournaments across 4 continents, including the World Competition and the Pan-Americans. 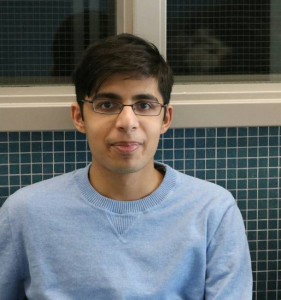 He also succeeded in national competitions, winning the Canadian National Championship and the prestigious Hart House High School Competition in 2018. He has been debating for 8 years and is also a former TDA student.